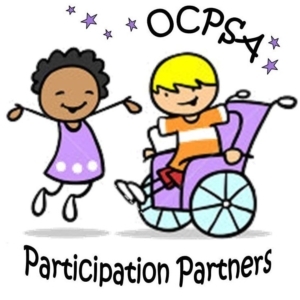 When you become a Participation Partner, you are joining a very special group of supporters who make a lasting difference in the lives of children and adults with cerebral palsy and similar physical disabilities! Through monthly contributions, Participation Partners are helping them to become (and remain) active through sport and thus build more healthful and fulfilling lives for themselves, their families, and their communities. $10 per month Will enable 5 children to participate in ‘Try-It’ sessions where they are given their first opportunity to experience the joy of sport and active recreation. $15 per month Will enable 4 children to play specially adapted boccia as a form of recreational therapy within children’s treatment centres (as part of an 8-week therapy program). $25 per month Will provide training and expert support to 3 coaches or other sport leaders on how to adapt and deliver programs for people with cerebral palsy and like disabilities. $35 per month Will provide training and mentorship to 5 sport assistants on how to support the participation needs of people with cerebral palsy and similar disabilities. Note: sport assistants are crucial as they ‘physically assist’ the athlete to participate. $50 per month Will provide 1 ‘Start-up Kit’ and expert consultation to a school, camp, kid’s club or community centre for the introduction and delivery of a recreational boccia program (includes a complete boccia ball set and an assistive boccia ramp). $75 per month Will enable 4 children to participate regularly in a recreational sport program where they develop fundamental skills, confidence and friendships that encourage ongoing involvement in sport. $100 per month Will enable 1 competitive or high-performance athlete to attend a week-long para-athletics training camp to hone his/her skills and prepare for all levels of competition, as well as provide the invaluable services of a sport assistant. $150 per month Will enable the purchase of 1 specially designed throwing chair for our para-athletics program. The chair is secured to the ground by straps and allows athletes to participate from a seated position in throwing events. It is easy and convenient. Your donation is automatically made through your credit card on the 1st of every month. It is easy to change, cancel or temporarily suspend your donations at any time. It is cost effective for OCPSA. Monthly giving keeps administration costs low so it maximizes donor dollars. 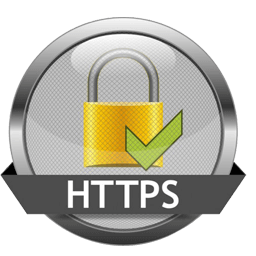 It is a convenient and reliable source of income that allows OCPSA to effectively plan ahead. As a Participation Partner, you will enjoy special opportunities to deepen your connection to the children and adults we serve and share their triumphs as they fulfill their potential through sport. It’s a meaningful way for us to celebrate our monthly donors and show our sincere appreciation for their generosity and ongoing commitment.